Many companies have marketing gold hidden in their servers and computers. These untapped assets can give you a leg up on the competition if marketed and optimized correctly. For the smart business owner, the days of posting non-optimized PDF files to their website is long over. This is especially true for website owners and webmasters maintaining PDF newsletters and PDF articles on their website. 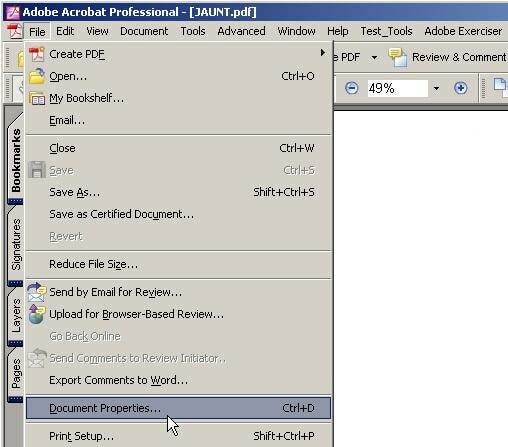 It is now possible to enhance your PDF title tags to appear in search engine results by taking advantage of the Adobe Acrobat ‘document properties’ settings function. Google wants to show its users relevant results for relevant searches. So now it is extremely important to perform the extra steps in properly ‘optimizing your PDF documents’. In effect you are telling Google what your PDF documents are about and what information they contain. First let’s take a look at a non-optimized document that appears in Google’s search results. This is what most PDF files look like to Google. 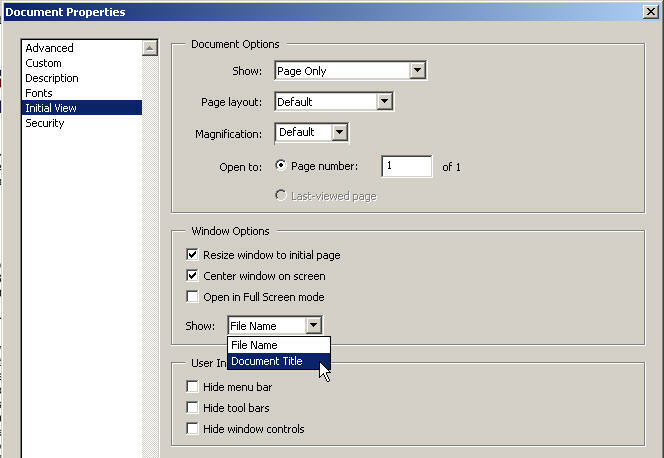 In order to leverage your PDF files on the web, follow these 3 simple steps in your PDF ‘Documents Properties’. In the advanced settings enter the full path to where your PDF resides on your server. So for example if you upload your PDF to a folder titled ‘pdfs’, then your base url would be; http://www.yourdomain/pdf/filename.pdf). Be sure that your URL is been entered correctly. To test this, paste your URL string in a browser to see if the PDF is found. In the title field enter a ‘title’ for your PDF. Your title should reflect a ‘search phrase’ relevant to the content your PDF. If your PDF is about ‘how to loose weight safely with diabetes’, then a good title would be ‘Loose Weight Safely with Diabetes’. In the subject field enter a short summary for your PDF. This helps Google to decide the relevancy and placement of your PDF in search results. In the keyword field, enter up to 10 keywords for your PDF. The selection here are pretty straight forward, but be sure to select ‘Document Title’ as indicated below. This will tell Google to use your description title that you entered in the snapshot above.